Wenzhou calligraphers gave calligraphy works as graduation gifts to overseas students at Wenzhou Medical University. School of International Studies of Wenzhou Medical University was funded in 2006. It is one of the largest sized international education institutes in Zhajiang Province. 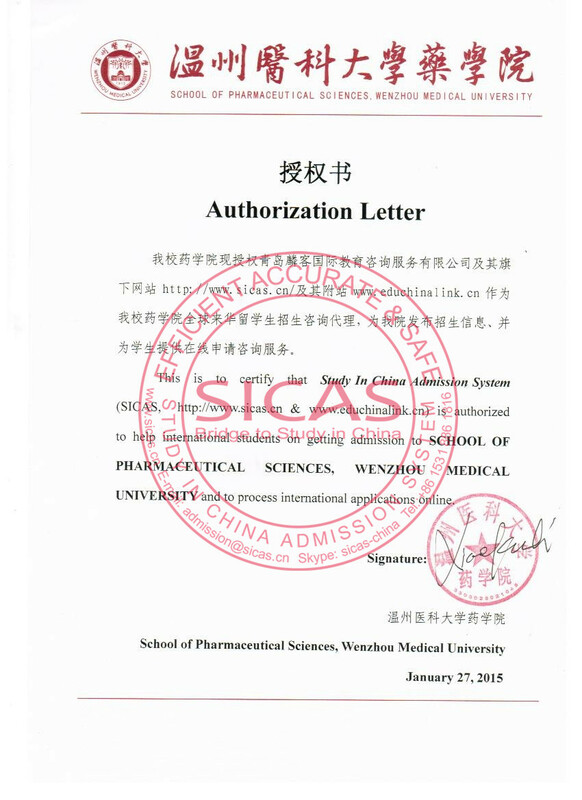 In 2007, Wenzhou Medical University has been listed as one of the thirty medical universities which have reached the quality control standards of enrolling international students issued by the Education Ministry of China. Wenzhou Medical University is a multi-disciplinary university under the administration of Department of Education of Zhejiang Province. The history of Wenzhou Medical University can be traced back to 1912. Active in international cooperation in recent years, WMU has established cooperative relationships with over 60 foreign colleges, universities or academic institutions and enrolled more than 450 international students. Meanwhile WMU set up Confucius Institutes abroad devoted to teaching Chinese and culture. MBBS taught in English is the hot program in international students.